A busy Family Day weekend continued Monday at the 2018 Canadian International AutoShow (Feb. 16-25), following another record-setting attendance day on Sunday of 54,487, the highest one-day total in show history. 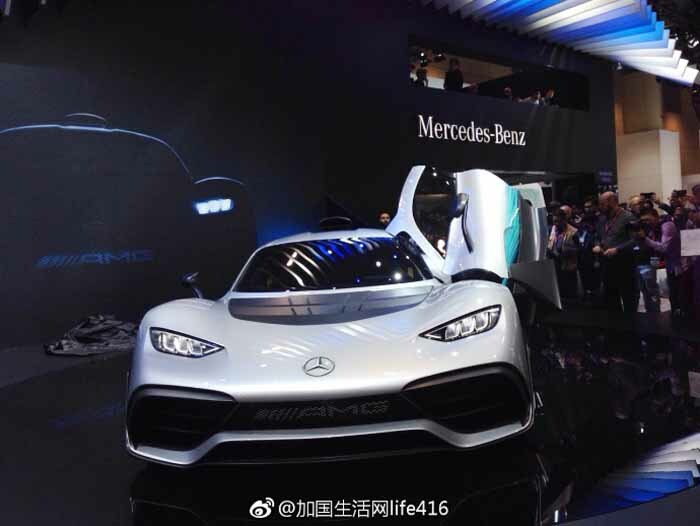 So far, the 2018 AutoShow has seen a three-day total attendance of 124,354 compared to a three-day total of 120,287 in 2017. 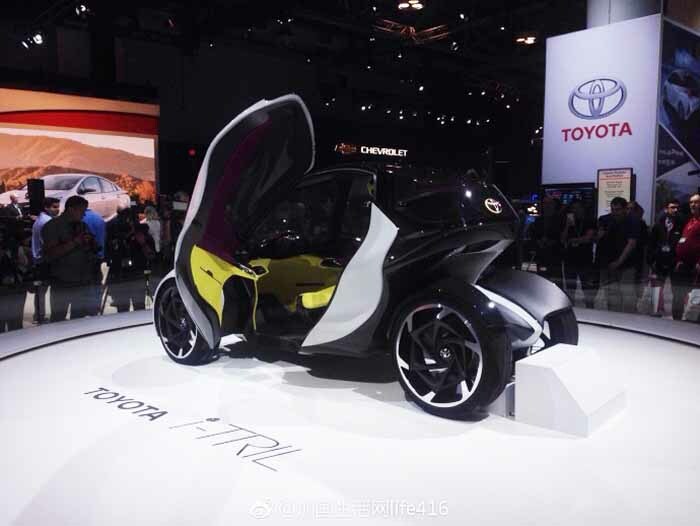 Springing forth from the imaginations of their creators, concept vehicles are the result of automotive designers being given the freedom to fully pursue their creative visions. 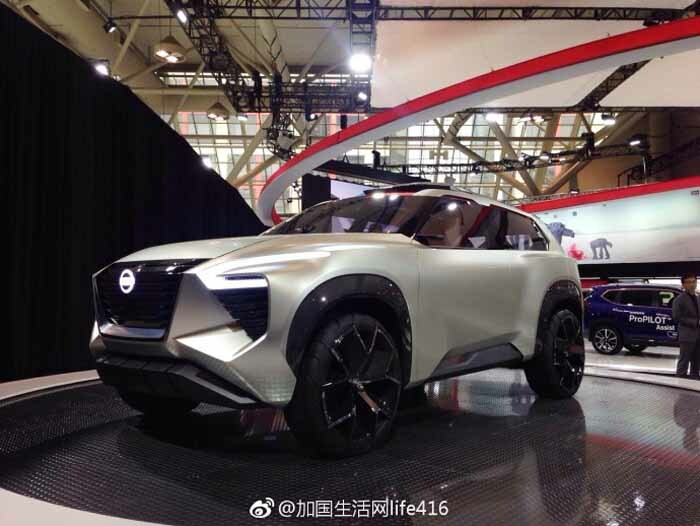 But the concept cars manufacturers have rolled onto the show floor at the 2018 Canadian International AutoShow aren’t just the stuff of dreams — some of them will ultimately make it into production and onto the road, and AutoShow visitors play an important role in the process. Manufacturers use concepts to gauge public reaction to their designs and concept features as they create new models and refine designs for existing ones. The GV80 Concept is a hydrogen fuel cell-powered SUV that offers a glimpse into the future of mobility from luxury automaker Genesis. The exterior design has a bold stance with broad proportions, that includes mention a prominent front grille and 23-inch mesh wheels. The interior features a ‘bridge’ instrument panel that stretches across the cabin from door to door and houses a 22-inch curved OLED touchscreen display that flows into the instrument cluster. The screen displays two distinct zones, with information for both the driver and passenger. A semi-aniline leather interior with diamond stitching on the door panels, seat inserts and centre console side highlight a cabin that also features polished aluminum trim accents and an ash wood centre console and floorboards. The Project Black S Concept is a collaborative effort between Infiniti and the Renault Sport Formula One Team, celebrating their relationship. The Project Black S Concept was built suggesting a radical reinterpretation of the Infiniti Q60 coupe. An aerodynamically optimized new design, with deep body stamping from the Q60's manufacturing process, allows the Project Black S to retain the sports coupe's deep creases and flowing lines. In addition to a more aggressive design, the performance hybrid powertrain being explored through Project Black S features an energy recovery system (ERS) to harvest energy, deploying recovered electric power to boost power and torque. Directly inspired by the dual-hybrid system proven in Formula One, it provides instant, significant lag-free acceleration. This technology does not yet exist in a current road car. The Prototype 9 Concept represents a reimagining of a 1930s race car with time-honoured production techniques employed to realize its retro design. 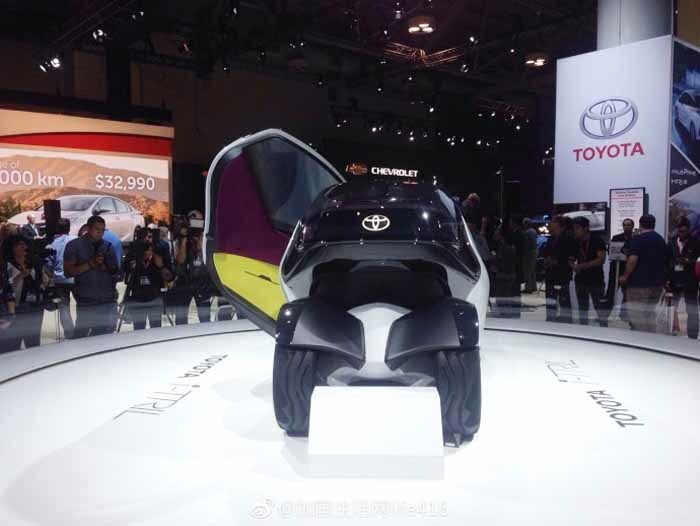 The eye-catching vehicle is a combination of past and future in one car. It is a sleek, open-wheeled electric retro roadster prototype inspired by an emerging era of Japanese motorsport. Prototype 9 is the first Infiniti powered with a prototype electric motor and battery from Nissan Motor Corporation's Advanced Powertrain Department. The motor produces 148 hp and 236 lb.-ft of torque, and it drives the rear wheels via single-speed transmission. 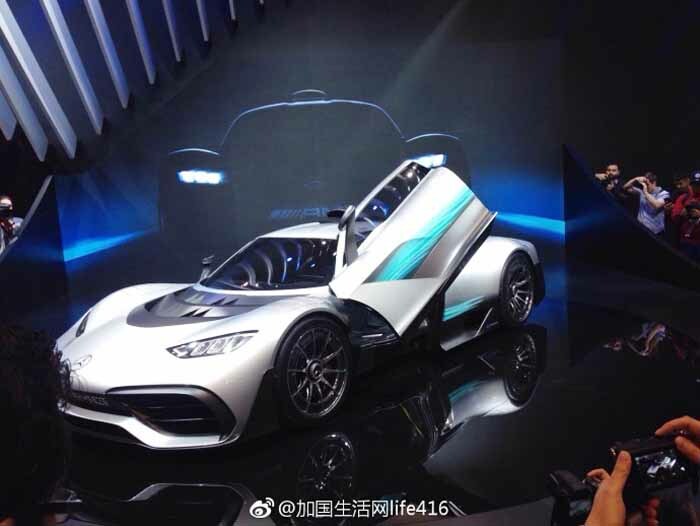 Prototype 9 has a top speed of 170 km/h, and sprints from 0-to-100 km/h in 5.5 seconds, with a maximum EV range of 20 minutes under heavy track use. The LS+ Concept expresses the future direction of Lexus styling, as applied to the LS series flagship sedan. Notable exterior features include a new Spindle Grille with large shutter that enhances both cooling and aerodynamic performance. Headlamps and rear combination lamps are partially laser-lit, while the traditional side mirrors are completely replaced with electronic technology that displays images inside the cabin. The LS+ also showcases state of the art technologies including “Highway Teammate”, which would enable completely autonomous driving on limited access highways such as the 400 series in Ontario. 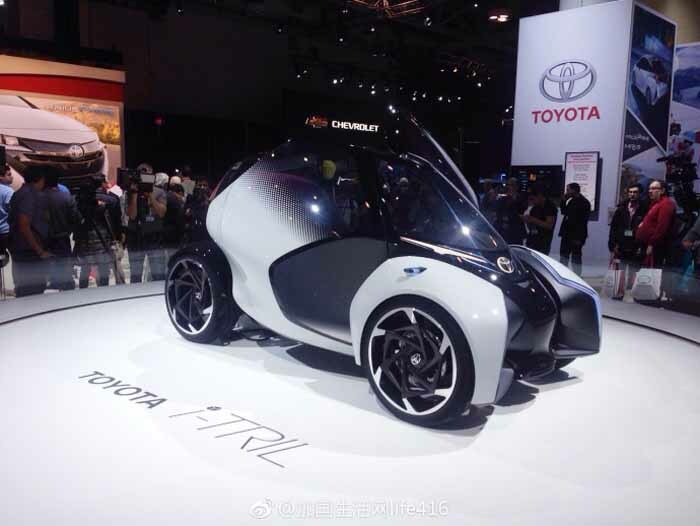 The vehicle features onboard artificial intelligence, which can perform merges, lane changes, lane keeping, and help provide adequate space around the vehicle. The AI also connects with a Lexus data centre to allow Lexus to easily add new functions, and it learns from road and other sources to enhance its performance. The LS is a vehicle that can grow along with its driver, representing a new age of vehicles to which people can become emotionally attached. 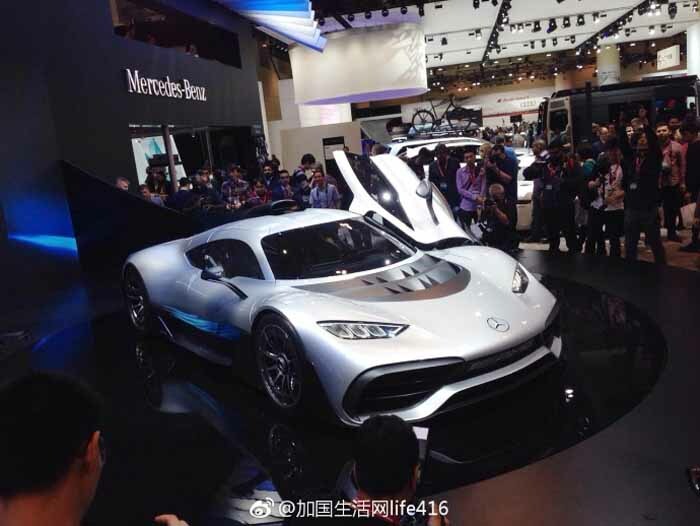 The collaborative effort that created the Mercedes-AMG Project ONE brought together engineers from AMG HQ in Germany, along with the company’s Formula One operations in Britain. And their creation is simply incredible. Essentially, they transplanted the high-performance plug-in hybrid drive system from the team’s F1 car. The mid-mounted V6 is capable of reaching engine speeds of 11,000 rpm, unheard of for a production car. Power will be sent to all four wheels via an AMG eight-speed manual transmission. So how fast is it? Blindingly. AMG pegs total system power at 1,000 hp which can rocket the car from 0-200 km/h in less than six seconds, with a top speed of 350 km/h. 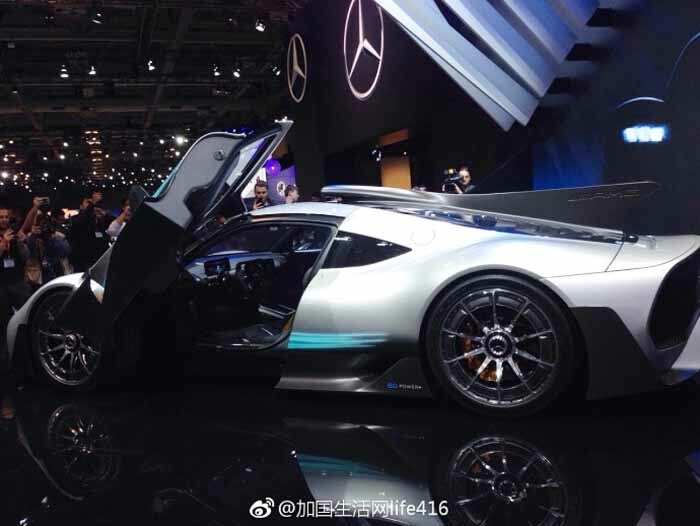 Project ONE is still a concept, but Mercedes-AMG says the car will be built although output will be limited to 275 units. Fully electric vehicles will run across the BMW Group portfolio and MINI will showcase its take on future personal mobility in the city with the Canadian premiere of the MINI Electric Concept. Designed for use in urban areas, this MINI Electric Concept vehicle offers a window into how pure-electric day-to-day mobility might look in the years ahead. The concept vehicle brings the iconic design, city-dwelling heritage and customary go-kart feeling of the MINI brand into the electric mobility age. The Nissan Xmotion Concept (pronounced "cross motion") is a six-passenger, three-row SUV that fuses Japanese culture and traditional craftsmanship with North American-style utility. Among its more notable features is an item called a "floating commander" that is located on the centre console and can sense a passenger's movement. 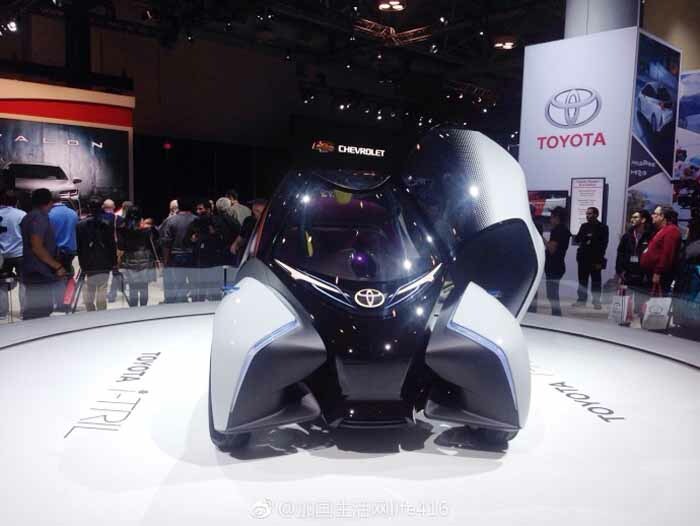 It contains a motion sensor inside and scans the motion of a passenger's hand to control the entertainment system, as well as the heating, ventilation and air conditioning. 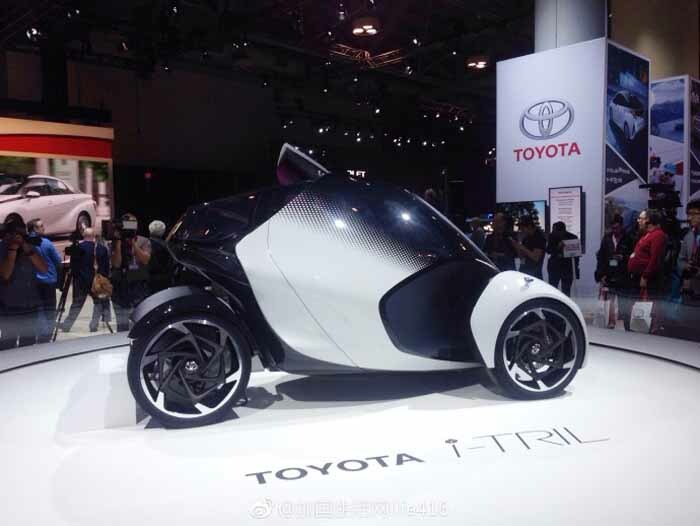 Making its North American premiere, the Toyota i-TRIL Concept is an environmentally friendly compact electric vehicle for urban lifestyles – with a difference. 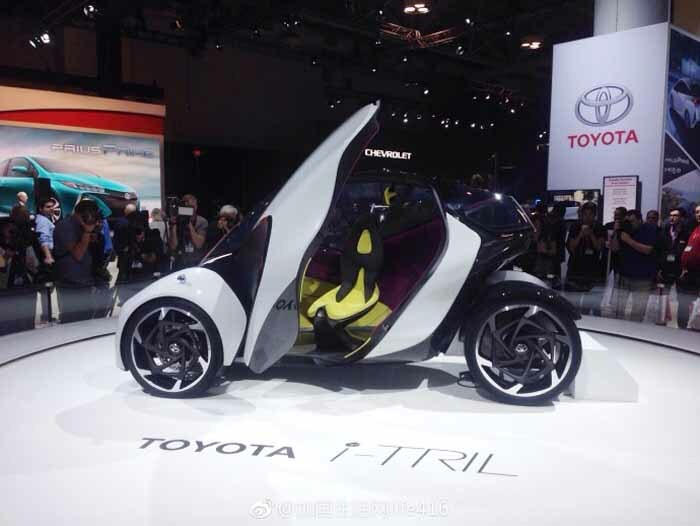 Developed by Toyota’s European Design Development Centre, ED2, i-TRIL is designed to inject passion and driving pleasure into the EV (electric vehicle) segment and incorporates a large range of technology features into its compact size! The i-TRIL is capable of operating autonomously, communicating with the driver primarily through voice activation technology. 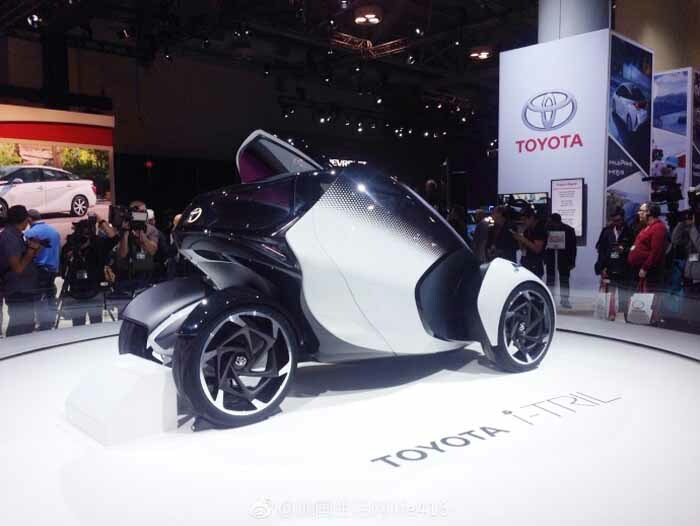 It also employs the highly engaging Active Lean Technology seen on the Toyota i-road, that made its Canadian debut in 2015, which allows the vehicle body and front tires to lean while the motorized rear tires remain perpendicular to the road surface at all times. Arguably the most exotic General Motors concept car ever, the Firebird III represented the pinnacle of the 1950s obsession with fins. The third and final of three experimental Firebirds, all powered by gas turbine engines, it was built in 1958 as the star attraction for that year’s GM Motorama auto show. It was the only one of the three Firebirds to have a direct impact on the design of GM’s production vehicles. The 1959 Cadillac – itself representing the apogee of the production car fin era – featured some of the Firebird III's surface development and its severe rocker panel tuck-under. The 1961 Cadillac adopted the Firebird's rear skegs – the stubby little fins that hung down from the bottoms of the rear fenders. The Firebird III also broke a number of legendary GM designer Harley Earl's styling rules and that's one of the reasons it became such an important design. For example, it had very little chrome and no parallel lines. Now, however, it is mostly remembered for lending its name to the Pontiac pony cars introduced in 1967. The Firebird III is on display in the Art & the Automobile exhibit, located in Level 700, South Building, MTCC. The brainchild of Harley Earl, General Motors’ chief of design, the Pontiac Club de Mer concept was built for GM’s Motorama auto show in 1956 to show the company’s commitment to futuristic design. Despite its promise, the Club de Mer never went into production. The car on the floor of the 2018 AutoShow (Auto Exotica, Level 100, North Building, MTCC) is a meticulous, hand-built recreation of the original, powered by a 389 Strato Streak V8 mated to a Hydromatic four-speed automatic. 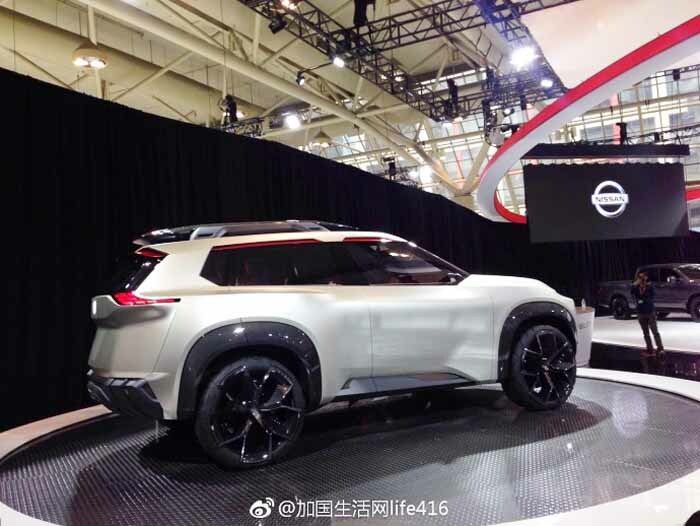 For hi-res images of the concept cars at the 2018 Canadian International AutoShow, please click here. The Canadian International AutoShow is being held at the Metro Toronto Convention Centre between February 16th and 25th. Please visit autoshow.ca for more information. Follow us on Instagram @cdnintlautoshow, Like us on Facebook and join the conversation on Twitter @autoshowcanada with the hashtag #CIAS2018. With more than 650,000 square feet of exhibits, displays and attractions at the Metro Toronto Convention Centre, the Canadian International AutoShow is not only the largest automotive expo in Canada, it is also the country’s largest consumer show — a leader in lifestyle, technology and all things automotive boasting more than 1,000 cars, trucks, SUVs, concept cars, exotics, classics, muscle cars, fully electric and autonomous vehicles. Nearly 340,000 attended the 2017 show.